This is the basic stage in creation or alteration of anymuseum or exhibition. Space zoning and the concept for each zone. The logic of interaction of zone themes and their development philosophy. Selection and methods of presenting historical artifacts or development of art objects. 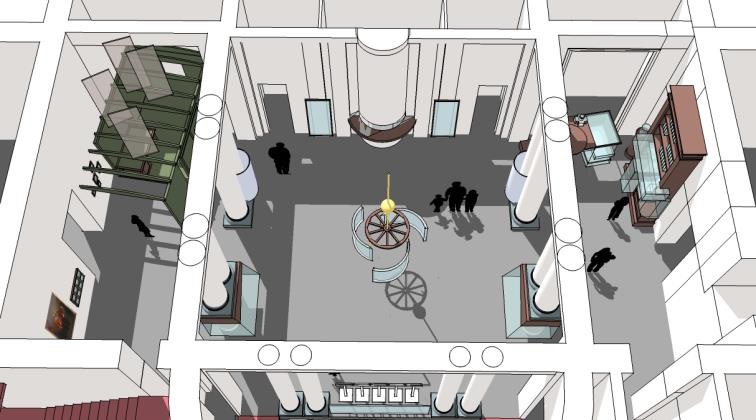 Scenario of museum guest movement with consideration of exhibit and artistic plansfor various visitor groups. Draft sketches of the external and internal visual solution for the created museum or exhibition, artistic ideas for the main objectives of the exposition.